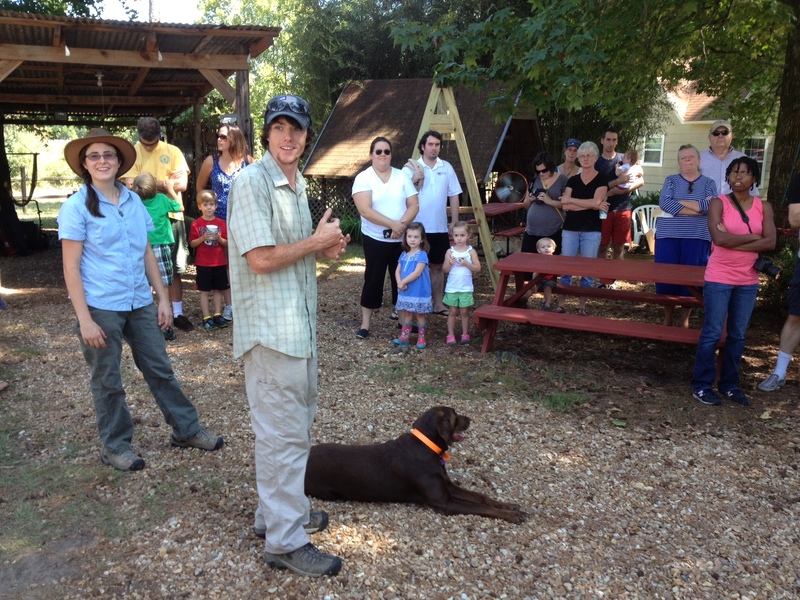 A sunny, cool farm day greeted about 70 people who visited the farm owned by Johnny Wray, former president of Gaining Ground – Sustainability Institute of Mississippi, during the field day held Sunday, Sept. 15. He and Elton Dean are partners in a grassfed beef operation, with Dustin Pinion and his partner Ali Fratesi. 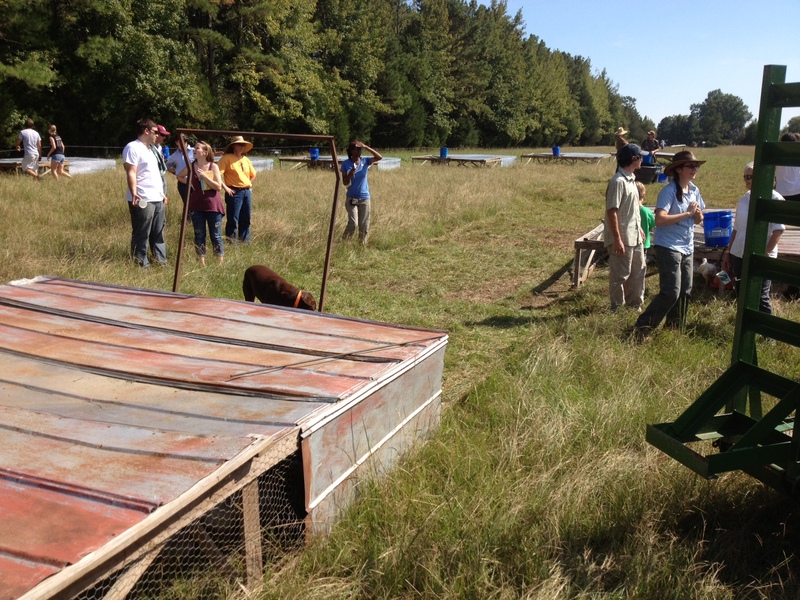 Dustin Pinion (center) and Ali Fratesi (left) explain the basics of their pastured poultry/cattle operation at High Hope Farm in Clay County, MS, on Sunday, Sept. 15. 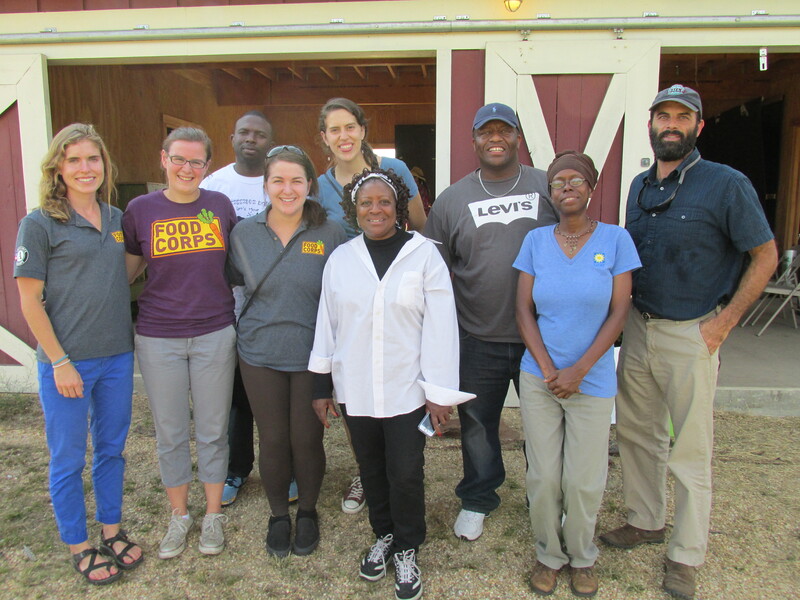 The Field Day was sponsored by the National Center for Appropriate Technology, which operates ATTRA, the Sustainable Agriculture Information Service, and by Gaining Ground – Sustainability Institute of Mississippi. You may recognize Ali if you frequent the Jackson (Miss.) Farmers Market on High Street. 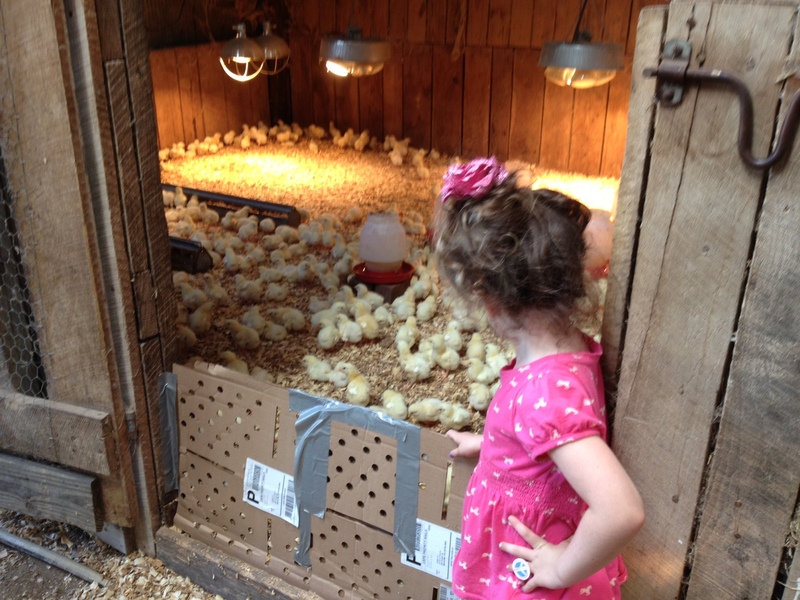 The couple now has about 350 laying hens and 800 meat birds at Wray’s High Hope Farm, said Fratesi, who sells their eggs and pesticide-free produce on Saturdays at the market. They have more than 700 members in their buying club. The couple has operated Beaverdam Farm in Indianola for about four years. Pinion, 27, came to High Hope Farm to show off what he learned while apprenticing with farmer/author Joel Salatin for six months in 2011. 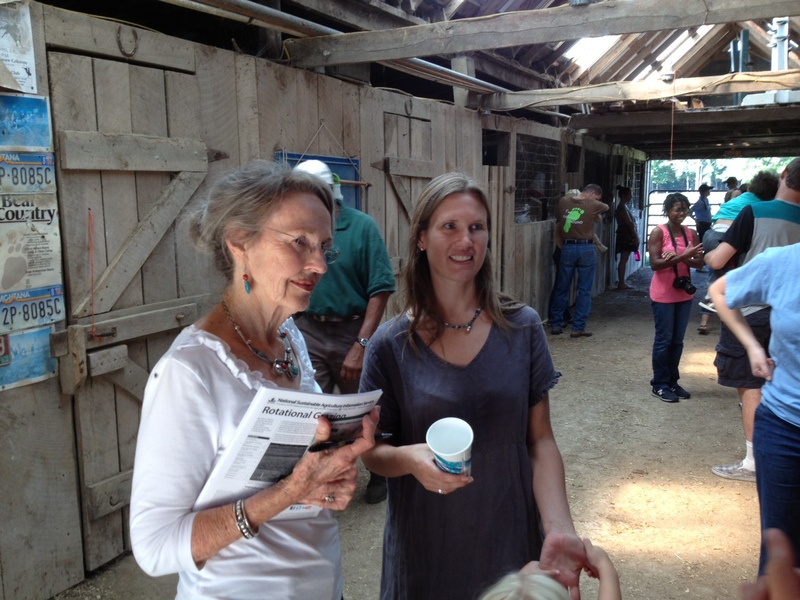 The Gulf States office of the National Center for Appropriate Technology (which operates the Sustainable Agriculture Information Service) and Gaining Ground – Sustainability Institute of Mississippi sponsored the field day to draw attention to the combined cattle/poultry/swine operation for its sustainable practices. For a lot of folks, it appeared that coming to the farm was a first taste, perhaps, of ever seeing a working farm in operation. 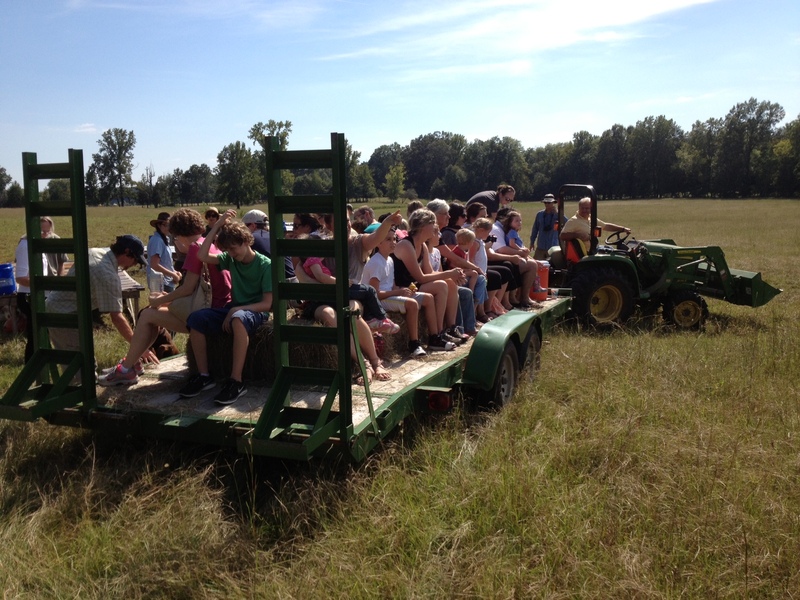 A number of people chose to walk across the 35-acre farm, but many (including lots of moms with small children, and even a few adults) enjoyed taking a “hay ride” on Johnny’s tractor, sitting on hay bales piled on a trailer. Everyone seemed to have a good time. So much so, this might turn out to be a “first annual” event – with another one next year! P.S. For those who missed it, you can also tour High Hope farm Sept. 29, 2013, with a farm tour by the Mississippi Sustainable Agriculture Network. For more info, see: http://www.mssagnet.net/ Or follow MSAN on Facebook. 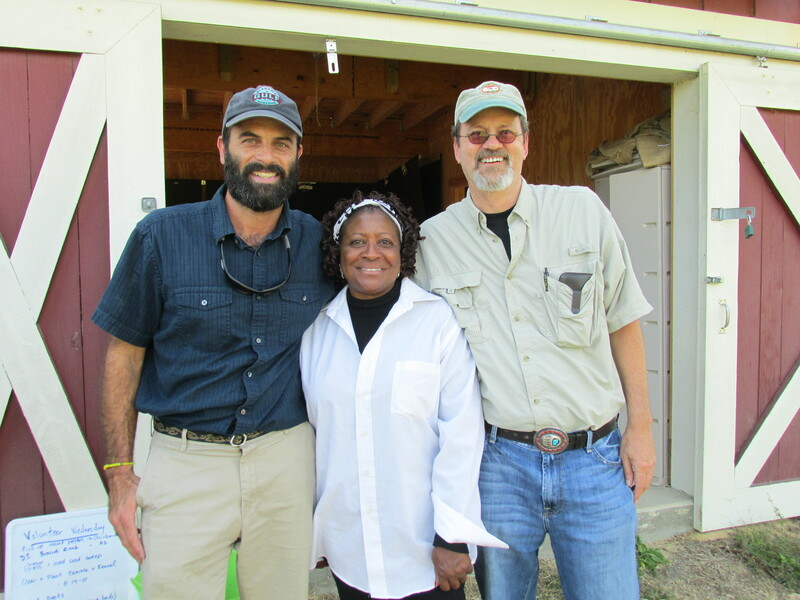 I had a wonderful time Friday at the Alliance for Sustainable Agricultural Production Field Day in Holmes County, MS. The field day brought in people from all walks — farmers, extension agents, colleges’ staff, state dept. of ag folks, nutrition educators and from the Mississippi Band of Choctaw Indians. And, of course, there was a representative from the National Center for Appropriate Technology (NCAT) and ATTRA – National Sustainable Agriculture Information Service – me! 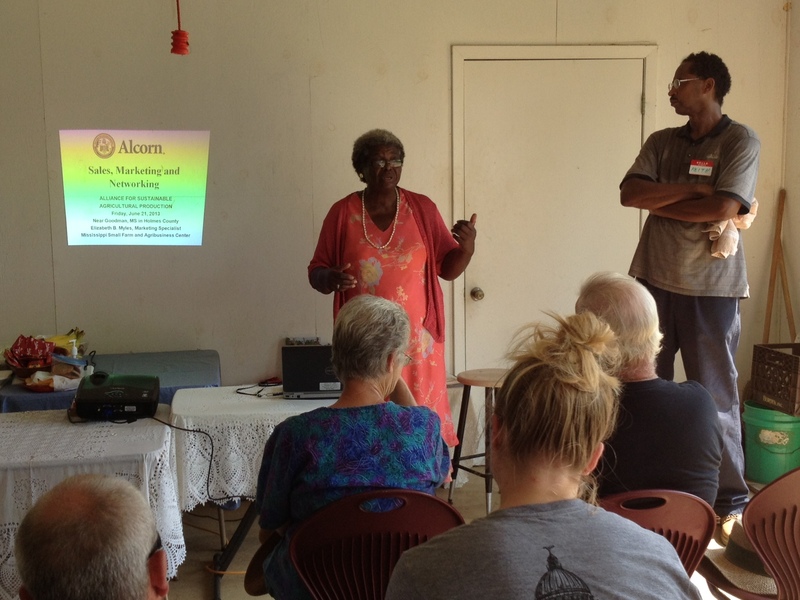 The field day is held each month at the Alliance’s demonstration farm owned by Mattie Coleman (pictured) in Goodman and is conducted by Keith Benson (also shown). The next one is July 19. I’ll probably be there. For more information, or if interested in attending, contact Keith, at: 601-988-4999 or keithmdp@yahoo.com. Jim Ewing is the Outreach Coordinator for the Gulf States Region for the National Center for Appropriate Technology (NCAT.org), a nonprofit offering technical assistance for sustainable living — farming, energy, and information — to reduce poverty, promote healthy communities, and protect natural resources. An award-winning journalist, editor and author, he has served in a variety of executive leadership positions, mostly in the food, farming and environmental sector. He has been called “a pioneer in sustainability” and “a tireless champion for farmers and food” by Gaining Ground – Sustainability Institute of Mississippi. He is a 2013 winner of GGSIM’s Sustainable Works Award for his leadership and achievements in promoting organics, environmental stewardship and sustainable living over the past 30 years. He is the author of six books (Findhorn Press). His latest is Conscious Food: Sustainable Growing, Spiritual Eating- in bookstores now. I just got back from a week of training in Butte, Montana, for my new job as outreach coordinator for the Gulf States Region with the National Center for Appropriate Technology. The whole experience gave me chill bumps — literally and figuratively. 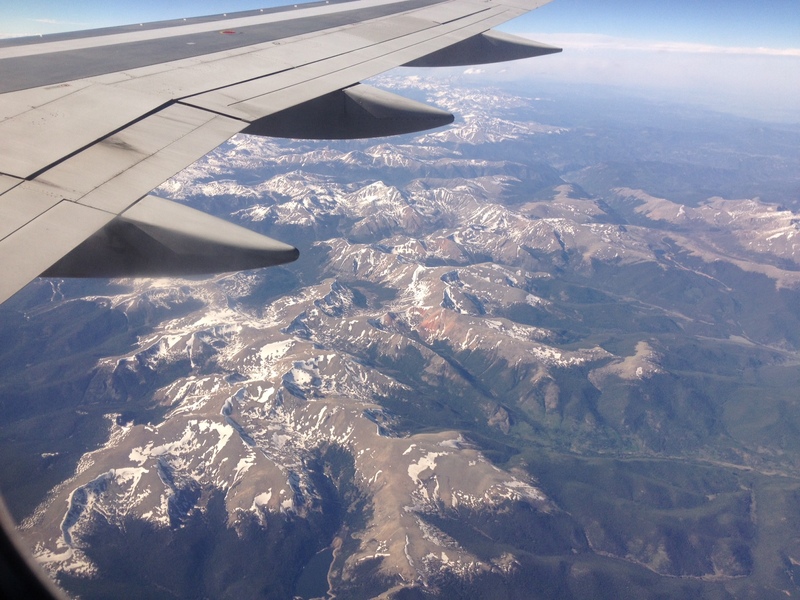 First was the incredible ride over the Rocky Mountains, looking down on snow-capped peaks. To say the view was breathtaking would be an understatement. But, once we landed, the view remained stunning — maybe even moreso! 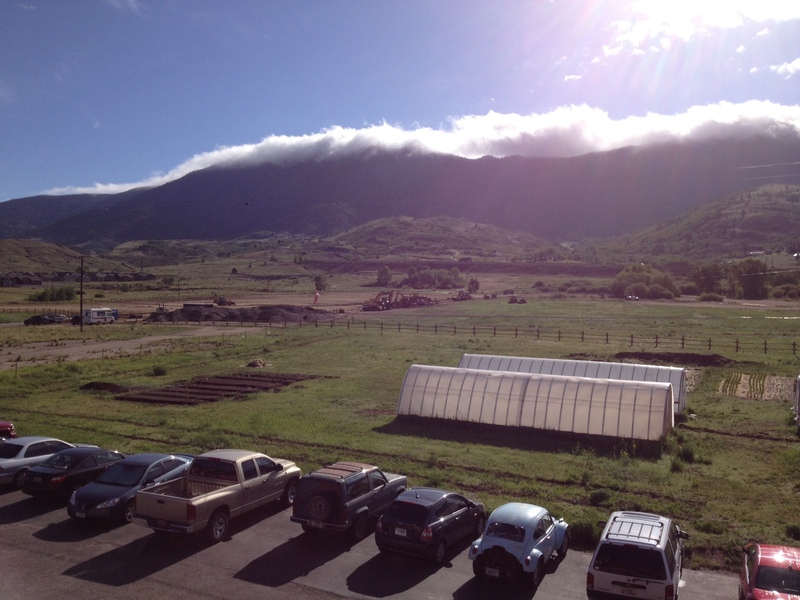 Behind the headquarters building is the Continental Divide. That’s right. The actual backbone of the North American continent is in NCAT’s backyard, so to speak. I could (and did!) spend hours watching the mountain as clouds drifted over the peaks, and the sun dappled shadows across the tree-covered flanks. Its face always changing, the mountain is a living presence in the town of Butte. Sustainable Agriculture and Rural Communities Program Manager Carl Little (center), gave us some tips about SIFT farming. The Small-Scale Intensive Farm Training program was created to help every community increase their food security by producing their own healthy food. 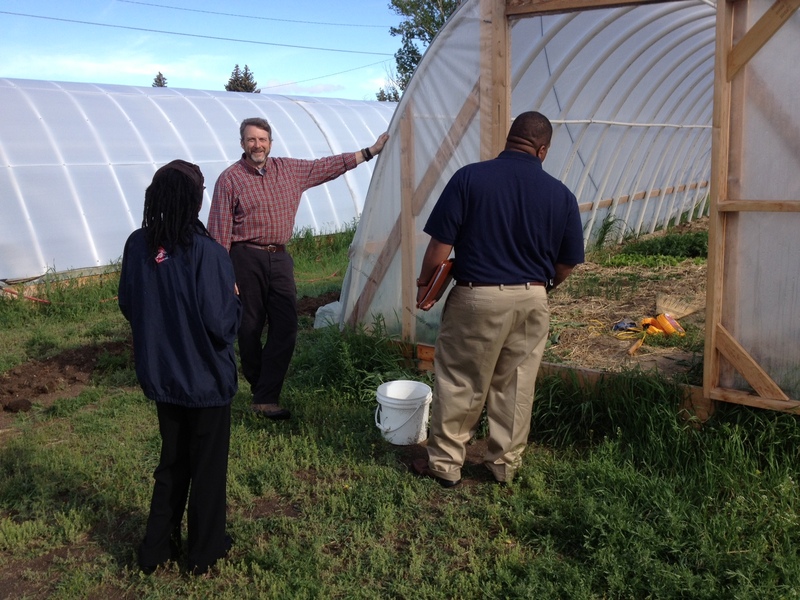 SIFT, with NCAT, is developing a working, sustainably managed, demonstration farm on five acres. Pictured (left), Felicia Bell, Gulf States farming specialist, and (right) Gulf States Regional Director Rockiell Woods. For more, see: http://sift.ncat.org/ Photo by Jim Ewing. 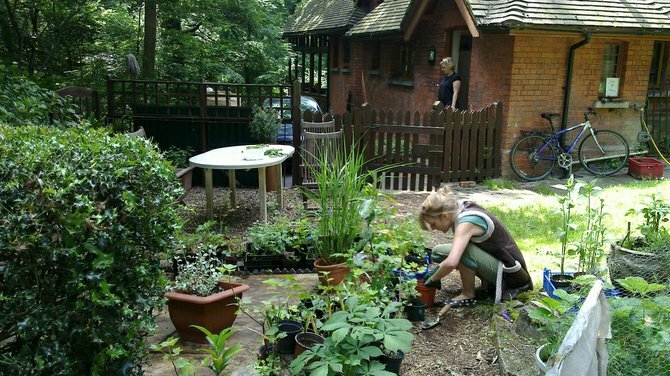 Of, course, we were there to learn a few farming techniques, among other things (hoophouse growing is pictured; something Butte needs even this time of year in midsummer for some crops like tomatoes). 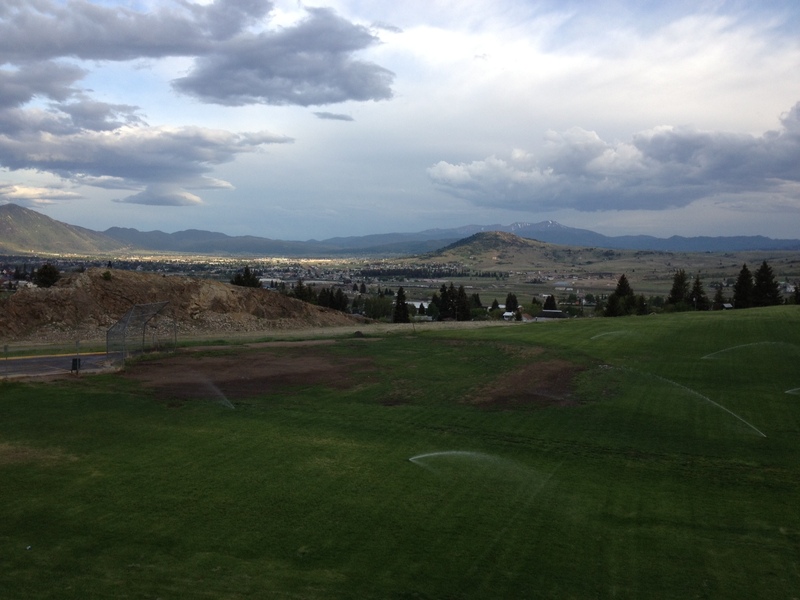 While we were in Butte, on June 13, as the temperature was 93 degrees with high humidity back home in Mississippi, it was misty at its numerical opposite 39 degrees in Butte; I could see it snowing in the mountains overlooking the city. I have to admit, it was an usual experience. The last day I was there, I got up at sunup and went outside with a cup of coffee. There was heavy frost everywhere, temps in the 30s, but since I was standing in the sunshine, it didn’t “feel” cold! Just wearing a t-shirt and a jacket. The city is a mile high and the humidity hovered around 20 percent, with highs in the low 70s. The StoneFly Fly Shop in Butte, MT, is a very cool place. If you are a fly fisherman, it’s a center of the universe! Photo by Jim Ewing. 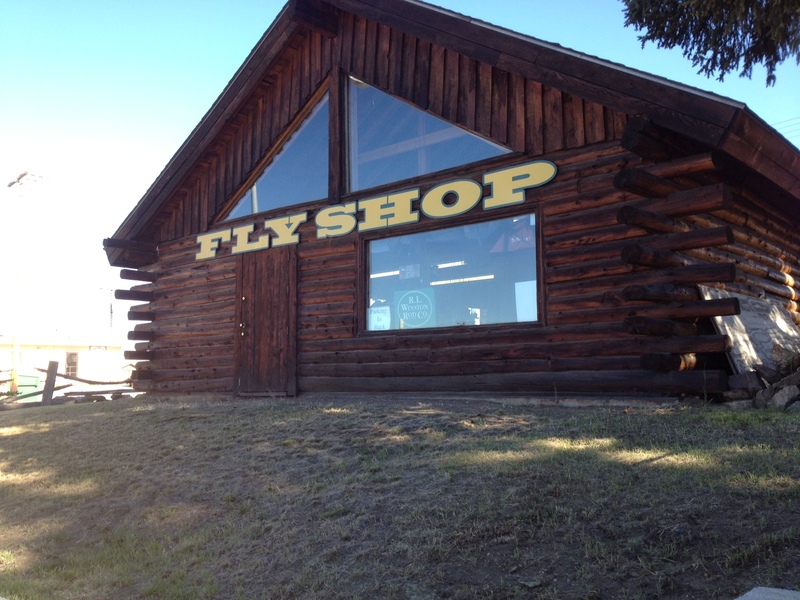 Of course, while in Montana, I had to do a little personal scouting, and found this incredible fishing shop — The StoneFly Fly Shop (https://www.facebook.com/pages/The-StoneFly-Fly-Shop/116061955126376). Had a great time talking with Chris, co-owner and outfitter. Check out their Facebook page, with tips on what’s biting. 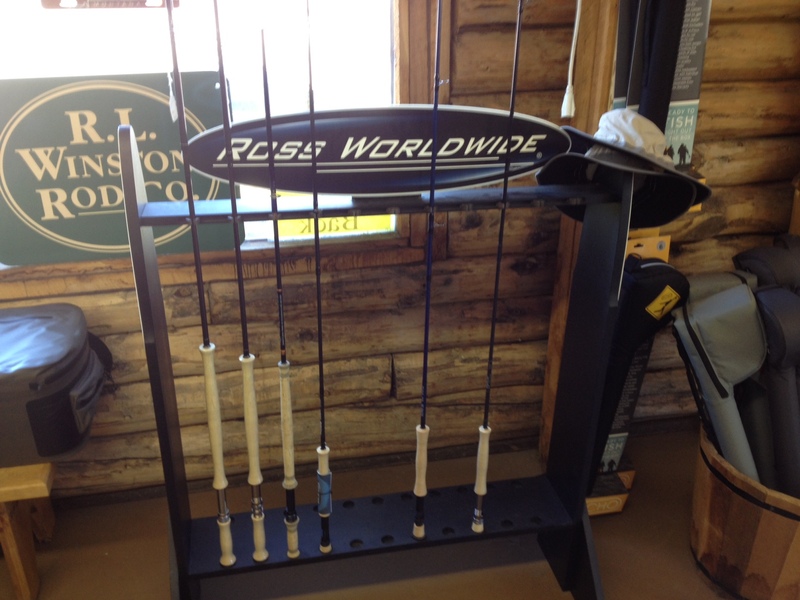 I also hung out some at Bob Ward & Sons Sporting Goods and Fran Johnson’s Sport Shop. Both have tons of fishing equipment and supplies, too. It was a great time, but I’m a bit pooped — arrived home after midnight last night. I plan to return with my fly rod! A lot of what I do helps the ATTRA program – the National Sustainable Agriculture Information Service. Farmers and ranchers can call in toll free for information about sustainable agriculture. NCAT has specialists who will answer questions, for free. Call 1-800-346-9140; or en Espanol, 1-800-411-3222. Picking Strawberries A Sweet Delight! 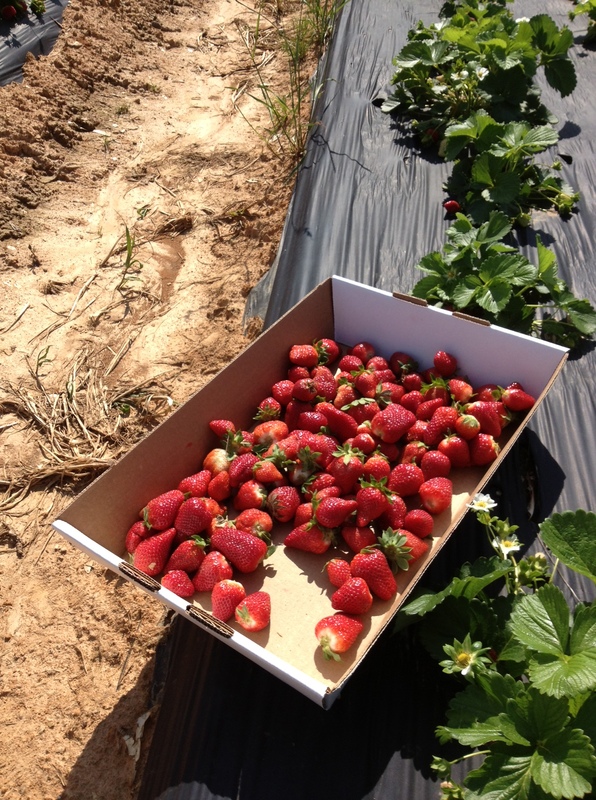 Had a delightful afternoon yesterday picking strawberries at a neighbor’s pick-your-own field. Although I had ridden past Reyer Farms (about 7 miles from our house) on several occasions, I had not noticed any strawberries before! 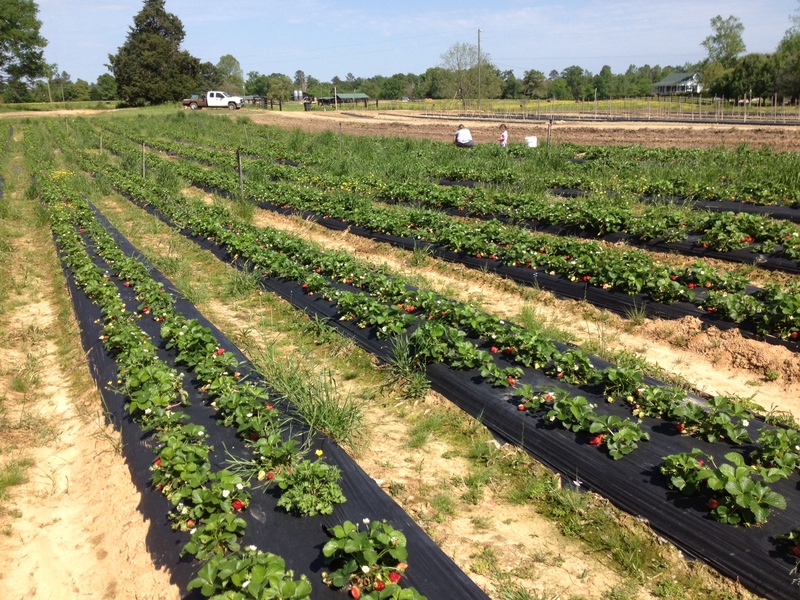 Strawberries are relatively rare in Mississippi as a crop, though common in neighboring Louisiana. The Magnolia State has the climate for it, but has more of a truck crop history for tomatoes (in South Mississippi) and a booming blueberry industry. I hopped in the car and followed the signs. When I got there, I saw a big field. How could I have missed this? The mystery was solved after a conversation with farmer/owners Jody and Brittany Reyer. 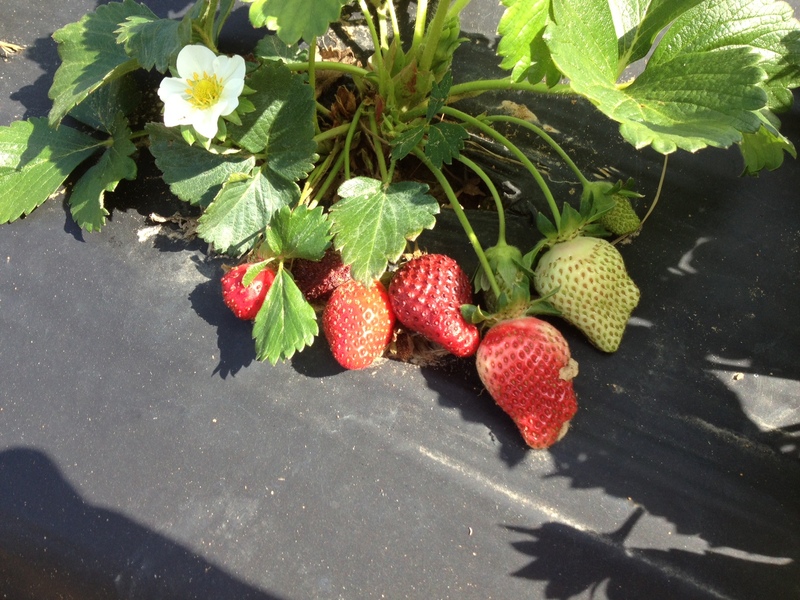 This is only the second year they have grown strawberries, Jody said. They tried them out last year, then expanded to cover the field this year. They’re adding another field for next year. Jody said that he’s using as few chemicals as possible, OMRI approved (for organic certification), though he hasn’t signed on with any organic growing certifying agencies. 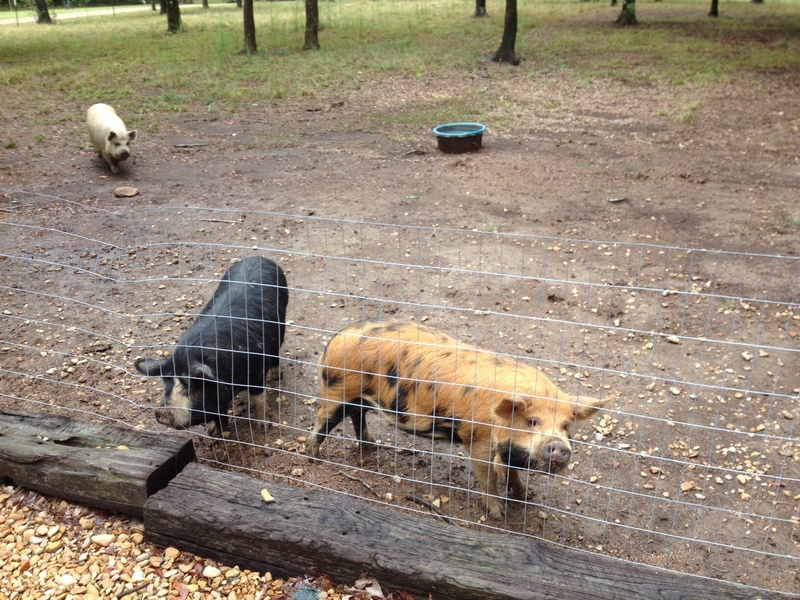 He’s interested in sustainable farming and concerned about the safety of the food he grows. “That’s my daughter out there barefoot in the field,” he said, pointing to his little daughter Annie playing next to his wife, exemplifying his concern for safety. He said his family lives with the crop, eats it, and shares it with others. He plans to grow tomatoes for the summer. “Not yet!” I replied. “Maybe I ought to!” I put one in my mouth. It melted into sweetness. That only renewed my picking fervor. I had a blast picking a flat of strawberries, and will probably check back in a week or so to see if they still have some to sell.